Directions: Sarangkot is about 15 minutes uphill drive towards north west from the city centre of Pokhara. Any local people can guide you to this famous tourist spot. 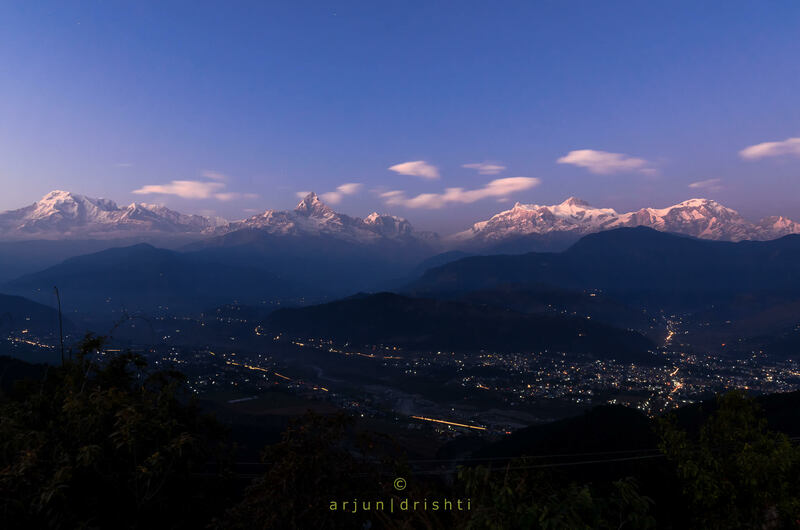 Sarangkot is famous for its view of the Annapurna mountain range and the mighty Mt. Fishtail. Best time to shoot is during sunrise or sunset. 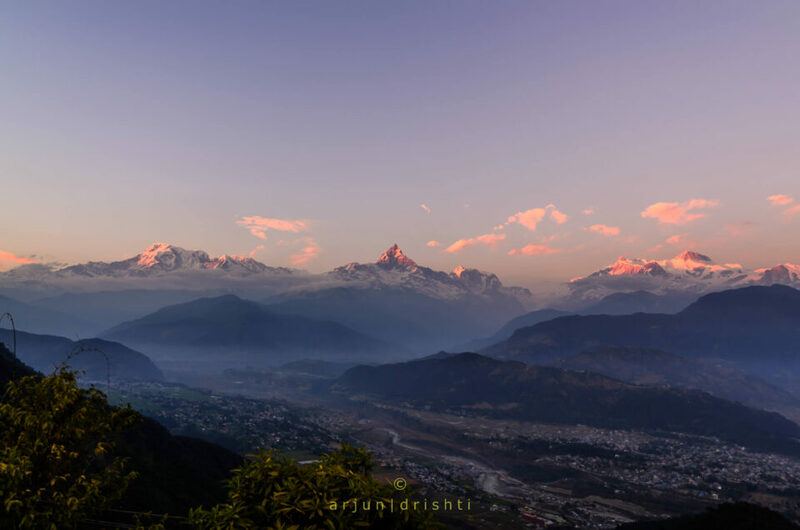 You may like to avoid the rainy season of July-August, rest of the year you can have the beautiful view of the Himalayan range.